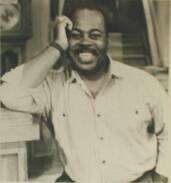 Reginald VelJohnson played the role of the understanding Sgt. Al Powell opposite Bruce Willis in "Die Hard." But he is most known as Paul Hogan's chauffeur, Gus, in "Crocodile Dundee." His other film credits include "Remo Williams," "Wolfen," "Ghostbusters" and "Turner and Hooch." He also starred in "Die Hard II" and "Posse." Some of his television credits include "Deadly Pursuits," "Grass Roots," "The Bride in Black," "Quiet Victory: The Charlie Wedemeyer Story," "Doing Life" and "When Hell Freezes Over, I'll Skate." Plus, guest appearances on "The Equalizer," "227," Tales From the Crypt," "Dream On" and "The Electric Company." On Broadway, VelJohnson appeared in "Honky Tonk Nights" and "But Never Jam Today,"plus many off Broadway productions. He was born in Queens, NY, on Aug. 16. 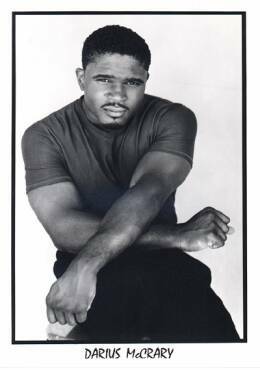 Darius McCrary made his film debut at the age of 10 in "Big Shots," with Paul Winfield. He also portrayed a youth victimized by racial harassment in the film "Mississippi Burning." His television credits include guest roles on "Amen and Hooperman." McCrary enjoys swimming, karate, football, soccer and basketball. He is seeking a singing and songwriting career and has built a recording studio at home. McCrary was born in Los Angeles on May 1. Television credits include, "Family Matters" and other guest starring roles, "Don King: Only in America" (portrayed Muhammad Ali), "Park Day", "Something to Sing About"
Developing music in his recording studio, boxing, football, snow boarding, martial arts, basketball, and being involved in activities to benefit charities. JoMarie Payton Noble has enjoyed performing since elementary school. While at Carol City High School in Miami, she won her first starring role as Mama in the high-school production of "A Raisin in the Sun." Noble studied drama at the University of Miami and later continued at Miami-Dade Community College. During this time she appeared at the Merry-Go-Round Playhouse, the Coconut Grove and the Theater of Afro Arts. This led to the role of Idella, opposite Robert Guillaume, in "Purlie." From there she launched a successful film and television career with roles on "The Redd Foxx Variety Show," "The New Odd Couple," "Teachers Only," "Small Wonder," "227," "The 'Slap' Maxwell Story" and "Frank's Place." She was also a regular on "Silver Spoons." Her feature film credits include "Body and Soul," "Crossroads," "Disorderlies" and "Troop Beverly Hills." 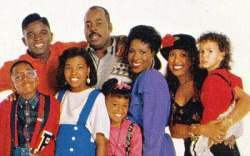 The National Commission on Working Women honored Noble with the 1990 Alice Award for her portrayal on "Family Matters." Noble lives in the Los Angeles area with her husband, Rodney, and a 12-year-old daughter, Chantale. She was born in Albany, Ga, on Aug. 3. 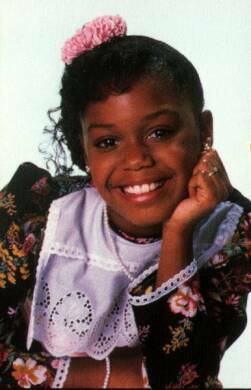 Kellie Shanygne Williams launched her career at age 6 in a play called "Cousins." Since then, she's amassed an impressive list of theater credits, including "Joe Turner's Come and Gone," Butterfinger's Angel," "Colored Museum," "Goin' Home" and "The Bacchae," Williams' television credits include "Celebration in Honor of Dr. Martin Luther King, Jr.," "Luther's Choice" and "Moesha." She made her feature film debut in "Suspect," which starred Cher and Dennis Quaid. She also appeared in "Men Don't Leave" with Jessica Lange. Williams enjoys singing, dancing and roller skating. She was born in Washington, D.C., on March 22. 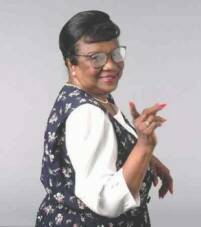 When Rosetta LeNoire was 15, she was a "Time Stepper" performing with her godfather, Bill "Bojangles" Robinson. In 1939 she made her Broadway debut with him in "The Hot Mikado." She hasn't slowed down since then. LeNoire made her first television appearance in the 40s as part of a Revlon experiment in TV technology. She has since been seen as Mama in "Gimme a Break" and a regular on "Search for Tomorrow," "The Guiding Light," "Amen" and "A World Apart." She has also made guest appearances on "Benny's Place," "Big Blonde" and "You Can't Take It With You." Since her Broadway debut more than half a century ago, she was seen in "A Streetcar Named Desire," "The Sunshine Boys," "Lost in the Stars," "Destry Rides Again," "I Had a Ball," "Sophie" and "Cabin in the Sky." She was Stella in the Broadway production of "Anna Lucasta," later starring in the film with Sammy Davis, Jr. and Eartha Kitt. Her film credits include "Moscow on the Hudson," "The Sunshine Boys," "Daniel" and "Brewster's Millions." Since 1968 Miss Lenoire has been artistic director of her own musical theater, the AMAS Repertory Theater, Inc., a non-profit, multi-racial performing arts organization. In fact, she recently received the Richard L. Coe Award for extending the boundaries of theater. In February 1989, the Actors Equity Association established the Rosetta LeNoire Award. Lenore was born in New York, NY, on August 8. Michelle Thomas' first love was music, so it's only natural that she would develop performing skills at a young age. She studied jazz, modern and hip-hop dance at the Broadway Dance Center in New York, and while attending an all-girls private school in New Jersey, she was crowned Miss Talented Teen New Jersey in Hal Jackson's Talented Teen Competition. 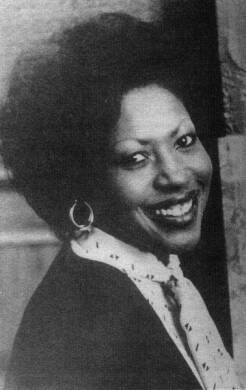 She went on to compete in the international pageant in Jamaica and was crowned International Queen in 1985. Her other television credits include "The Cosby Show," "Roseanne," a pilot called "Conan the Librarian" and "Dream Date," a made-for-television movie. She also appeared in an episode of the ABC series, "A Man Called Hawk." A persistent preschool teacher first saw Jaleel White's spark. So when White was 3-years-old, his parents took him to a casting call and was soon landing roles in TV commercials. The young actor appeared as a regular in "Charlie &Company," and in the television movies "Kids Don't Tell" "Leftovers," and "Silence of the Heart," with Mariette Hartley and Charlie Sheen. White appeared with Bea Arthur in a dance number on "The 5th Annual American Comedy Awards" and made a guest appearance as Steve Urkel in an episode of "Full House." He also starred in "The Jaleel White Special." He is an avid basketball player who also enjoys watching old movies and TV shows. His idol and mentor is entertainer Bill Cosby. He was born in Los Angeles on Nov. 27. Bryton McClure has been in the entertainment business for most of his life. 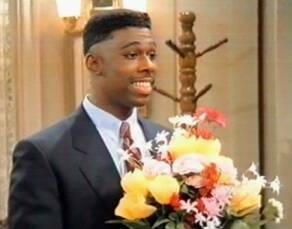 He joined the cast of "Family Matters" before his fourth birthday. McClure has appeared in several television commercials and print ads, but he is especially proud of the 1994 "Dangerous" compilation video he did with Michael Jackson. He is actively involved in Jackson's "Heal the World" Foundation and other charity groups, including DARE, RAADD (Recording Artists Against Drunk Driving), New Directions for Youth and his own non-profit organization, My Generation. Bryton enjoys baseball, singing, dancing, video games and popcorn. He was born in Lakewood, Calif., on August 17, 1986. RICHIE CRAWFORD Because he joined the cast when he was only 3 years old, "most of the things kids learned at home I learned on the set," says Bryton McClure. "It was my tutor who ta ught me how to ride a bike, how to play baseball." 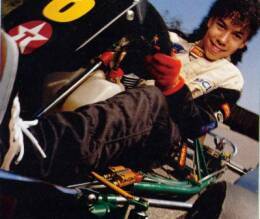 Now 13 and living with his parents in Orange County, Calif., the only child has traded in Little League for competitive go-kart racing. 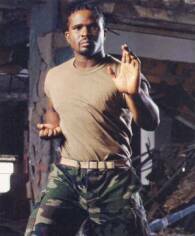 He has also traded in acting for a career as a singer. "We didn't want to subject him to auditions again, knowing the odds of getting on another show are so slim," says his homemaker mother, Bette McClure. This past spring the home-schooled eighth grader signed a deal with the Polydor/Universal music label. That news shouldn't come as a surprise to anyone who ever caught McClure imitating Michael Jackson. "Bryton was a great singer and dancer," recalls director John Tracy. "He'd come out with a white glove on and his hair all greased up. Everybody thought it was hysterical." 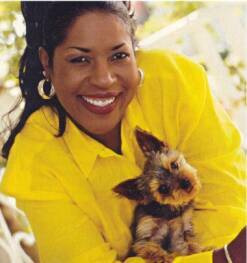 Cherie Johnson was born in 1976. She played Laura's best friend Maxine from 1990 to the shows end in 1998. She was never named a member of the regular cast, though she was a recurring guest star. The texts in italics are token from ABC, CBS, WGN, Warner Bros. websites. The texts in regular style are from the article "Where Are They Now? 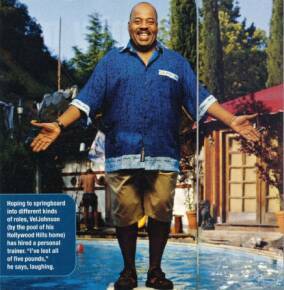 : Family Matters 1989-1998" published by the magazine "People" in June 2000.